Morrison Lee fights to protect the intellectual property rights of not just small companies but the big as well. 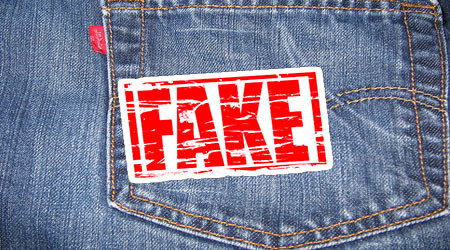 Levi Strauss & Co. (“Levi’s”) is taking a stand against the unlawful importation of counterfeit and infringing goods into the United States. Yesterday, Michael Lee, on behalf of Levi’s, filed a Complaint in the Eastern District of New York against a Queens-based wholesaler after counterfeit Levi’s merchandise imported by the company was seized at the border by United States Customs and Border Protection. The Complaint asserts claims for trademark counterfeiting, trademark infringement, unfair competition, and the unlawful importation of goods, among others. Levi’s seeks a permanent injunction and damages of up to $2 million for each trademark counterfeited, as well as other forms of relief. You can read a copy of the complaint here. And to learn more about the evils of counterfeits, you can check out a blog post here.